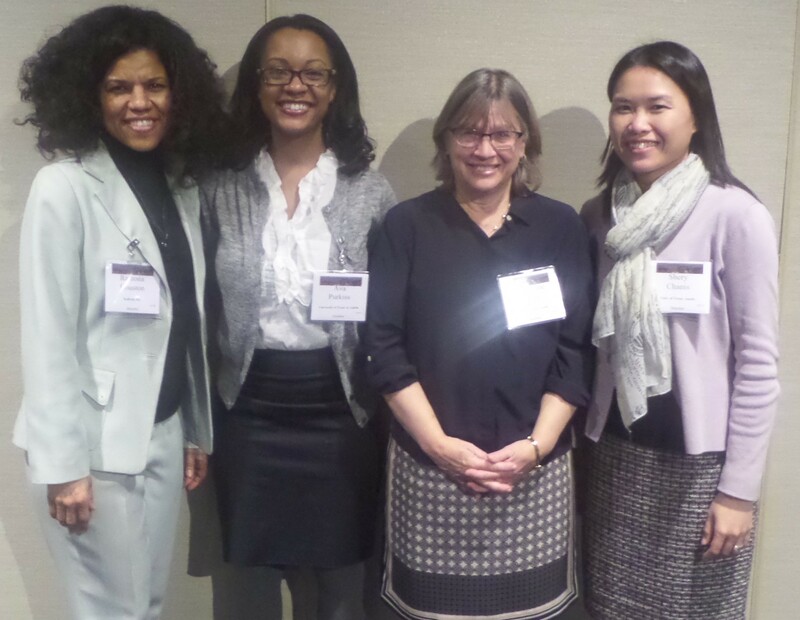 Last month I attended the American Historical Association (AHA) Annual Meeting in Atlanta, Georgia, January 7-10, 2016. This year’s meeting was an absolutely spectacular event! With over 13,000 members the AHA is the largest professional organization devoted to the study and promotion of history and historical thinking in the United States. A massive event, the meeting attracted over 3800 participants and featured over 280 session across three hotels! Because the membership of the AHA consists of historians of all specializations as well as those who work in a variety of professions, in recent years the AHA has attempted to diversify and broaden its content in an effort to create value for its ever evolving constituency. Remarkably, the AHA purposefully and successfully moved toward this intention by creating a program this year that appealed to an array of historians with diverse professional backgrounds and areas of expertise and interest. Impressive! The 2016 program was full of interesting sessions and engaging events. Not only did the sessions cover innovative research across the historical terrain, they also explored a wide range of topics such as digital history, teaching and publishing, alternative careers, student activism, and podcasting, just to name a few. In addition to the sessions, the meeting engaged attendees through featuring other events and activities, among them a timely and compelling opening plenary; professional development workshops; brainstorming and mentoring sessions; editorial roundtables; forums; business and committee meetings of affiliated societies and organizations; breakfasts and luncheons featuring distinguished scholars; receptions for historians with similar backgrounds, interest and expertise; local tours; a film festival; a job center; a career fair and a sizable exhibition hall of publishers. 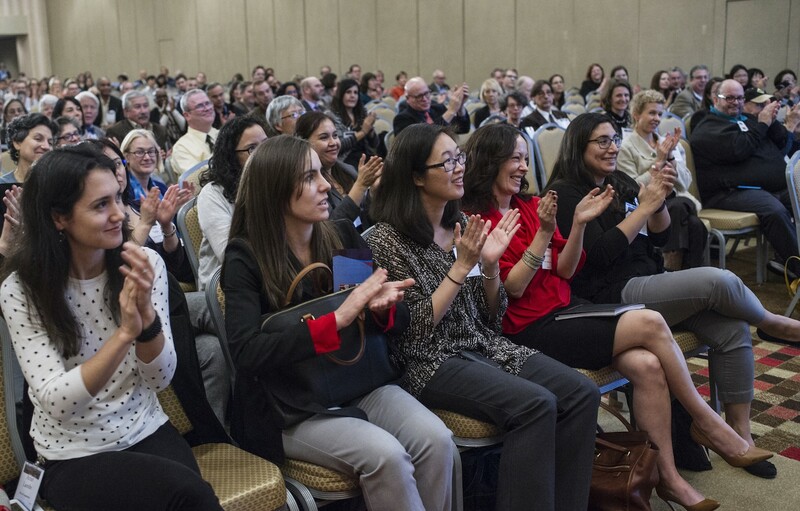 Whether you attended to present your research, to learn more about your area of expertise, or just to network and socialize, there was something at this year’s meeting for you! Despite the critiques about the AHA being a static organization lacking diversity in its membership, leadership and programming, I thought that the AHA did a noteworthy job this year in moving toward being more inclusive. I have attended the AHA Annual Meeting several times in the past, but I found this year’s meeting exceptional. For this reason I decided to create a top ten list of takeaways from the meeting. I must admit, with such a large and dynamic conference it was very difficult for me to limit my list to ten takeaways; however, because synthesizing is one of the exemplary abilities of a skilled historian, of course, I accomplished my goal. With that being said, to all my fellow historians, who were unable to attend this year, the following is what you missed! It is imperative for participants to read the program thoroughly and entirely prior to attending the convention. Because the AHA Annual Meeting is such an enormous and exhaustive event, attendees must thoroughly read the entire program in advance—specifically, the electronic version or the application as well as the handouts provided at registration—in order to make sure that they have a full and comprehensive understanding of all that the convention offers. This year I discovered skimming the printed program just does not work! First of all, with so many sessions and events it is not feasible to provide the essential details about each in the printed program. On top of that, by only skimming the program, it easy to overlook or inadvertently miss a session, event or speaker within your area of expertise or interest. Unfortunately, I missed a few activities and individuals that I would not have had I known about them. A thorough evaluation of the entire program in advance, therefore, is definitely worth the time and effort. The historical profession has benefitted immensely from the leadership of Vicki Ruiz of the University of California, Irvine. 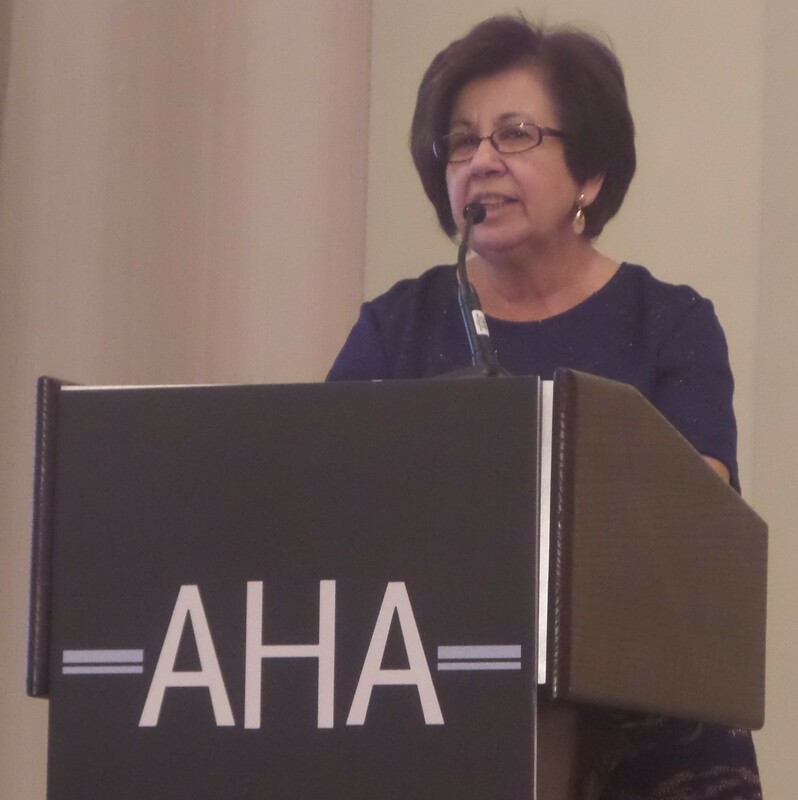 As the outgoing president of the AHA, Vicki Ruiz has created an extraordinary legacy in our discipline. An eminent scholar, she has produced an impressive body of work in American history, specifically Chicano/a and women’s studies. She has mentored scholars, producing over twenty Ph.D.s and guiding post-doctorate fellows and colleagues. Additionally, she has served, impacting the academy and her community. Notably, in addition to the AHA, Ruiz has served as president of the Organization of American Historians, Pacific Coast Branch of the American Historical Association, American Studies Association and the Berkshire Conference of Women Historians. Thank you, Dr. Vicki Ruiz, for your scholarship, leadership and service. You have truly created a legacy! There is a growing community of historians who are expanding the reach of our profession by making history more accessible to public. One of my critiques of the academy is that scholars tend to only write for and converse with other scholars. Finally, young historians are changing this paradigm! 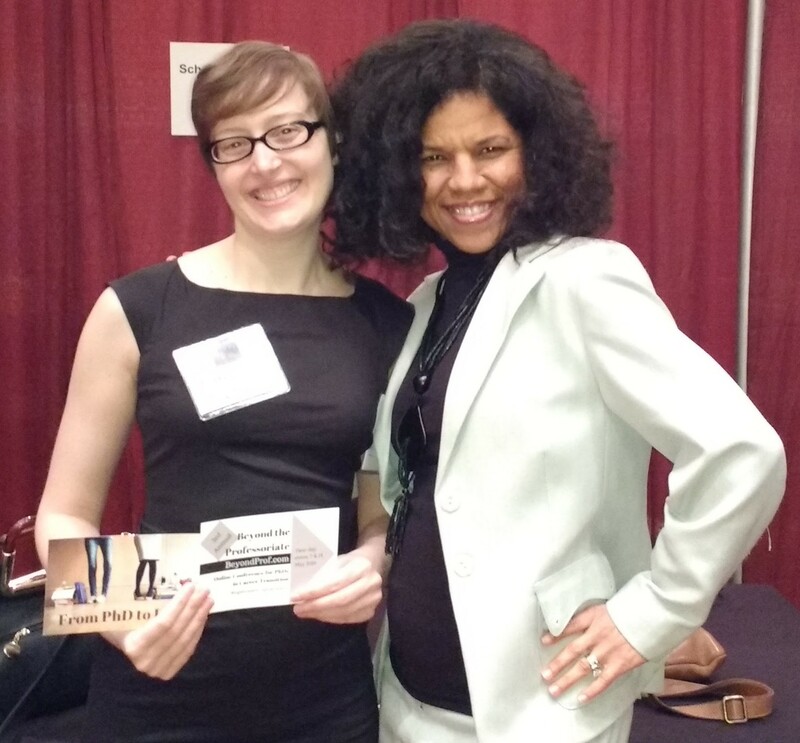 It was such a pleasure to meet other historians who are utilizing technology to promote history and the historical profession. Many have established themselves as successful bloggers, twitterstorians, podcasters and website administrators. (Institutions are also involved in this effort as exemplified through The University of Texas at Austin Department of History and its notevenpast.org.) It was even more notable that the AHA included sessions and events specifically focused on these individuals and their work. It is good to see that the history profession is finally beginning to value and appreciate the contributions of scholars who operate in spaces outside of academia. Because the publishing process takes much longer than what most expect, scholars must work this fact into their professional plans. The panel featuring book editors provided great advice about all aspects of academic publishing. They discussed the multiple steps that scholars must take to acquire a publisher as well as how to overcome many of the challenges that they may anticipate or face in the publishing process. Although they covered a wide range of issues, they highlighted the fact that the publishing timeline is lengthy. Specifically, it can take up to four weeks for the proposal review, three to four months for the reader review, and twelve to eighteen months for the production process. On top of that, this timeline does not include revisions. This is the bottom line: scholars, plan ahead! Through its Career Diversity Project the AHA is doing a tremendous job in leading efforts to encourage historians to expand their professional scope by exploring the diversity of careers that exist outside of the academy. Despite conventional beliefs within the academy, there are countless career paths that individuals can pursue empowered with a Ph.D. in history, and the historical profession is finally beginning to recognize this fact. As historians, we have cultivated and refined a range of skills and abilities during our educational journey that will complement, develop and enhance any sector or work environment. Government, corporations, nonprofits—our career options are unlimited! To encourage historians to broaden our vision in order to fully see what is possible with a Ph.D. in history, the AHA has been leading the charge in creating programming and professional development activities devoted to featuring alternative careers. This year the AHA Annual Meeting included sessions featuring historians who work in various types of professions as well as a career fair with breakout sessions facilitated by Jennifer Polk of Ph.D. to Life. Finally, the premier professional organization for historians is beginning to recognize that there is nothing wrong with historians pursing professional opportunities outside of the academy. In fact, considering the unlimited value of historians to other sectors, many should consider doing so. By expanding our professional terrain, historians will, in turn, expand our power, presence and impact! Historians are by far the best debaters! A member of several professional and civic organizations, I have participated and witnessed a lot of debates, but the debate over one of the resolutions during the AHA business meeting has to be one of the best! The historians on both sides argued their points quite well. They were clear, concise, methodical and passionate. (I must admit that I am a nerd, so I found the discussion quite entertaining—my kind of fun!) Over the years, I have noticed that many people become so emotional in their delivery, when supporting or opposing an issue, that they fail to adequately substantiate their arguments. Obviously, they need to learn from historians. My alma mater, The University of Texas at Austin Department of History, rocks! (Ok, all of you historians who are graduates of other institutions, don’t hate.) 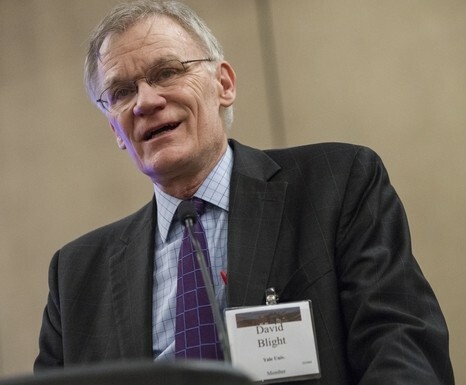 Alumni and professors of The University of Texas were featured everywhere this year—the opening plenary, sessions, breakfasts and luncheons, etc. How can I not give a shout out to my alma mater who represented big time at AHA 2016??? The most enduring benefit of attending the AHA Annual Meeting is connecting with old friends and meeting new ones! It was great to see and visit with the UT Department of History family, specifically the department chair and former AHA President, Jacqueline Jones; classmate and author of Freedom Flyers: The Tuskegee Airman of World War II, Todd Moye; and future UT alums. I also enjoyed personally meeting Master Mind colleague and founder of Ph.D. to Life Jennifer Polk, “The Owl” blogger Danny Orbach, writing consultant Lisa Munro, and many others. (Missed you Liz Covert!) Above all, that is what makes life special—family and friends! What a tremendous event! I expect that the AHA will expand on its 2016 success. I look forward to participating in the meeting next year in Denver! tagged: American Historical Association, American South, Berkshire Conference of Women Historians, Confederacy, Conferences, History Profession and Historians, National Museum of African American History and Culture, National Women's History Museum, noteventpast.org, Organization of American Historians, The University of Texas at Austin, Twitterstorians. Thank you, Ramona, for this fascinating post and for the credit. I enjoyed meeting you as well, and let’s keep in touch.